As a Christian case-maker, we need to be able to ‘level the playing field’ when challenges to the Christian worldview are presented. We can do this by placing the burden of proof where it belongs, which is on the party making a truth claim. 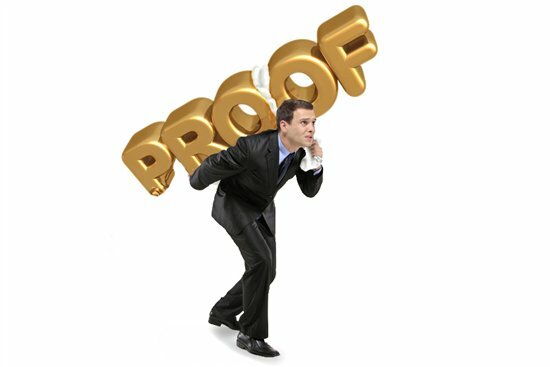 The burden of proof is commonly defined as: the person who asserts a proposition and/or truth claim, has the burden to defend it by reason or evidence. In other words, the person who asserts the proposition must prove it to be true. It is then and only then that the other person need respond to the substantiated claim with either counter-evidence or a counterargument. This is known as the burden of the rejoinder. In other words, the party who makes the assertion/truth claim is responsible to prove it. Until they do, you as the opposing party are not responsible to disprove what is unproven. The onus is not on you to go about disproving unsubstantiated claims. The burden of proof must be held in balance when two opposing worldviews are being discussed or debated. “Here’s the scenario. You’re having a conversation with a friend. They offer a critique or objection to your faith. Instead of them backing up their critique with evidence or reasons, you begin a defensive discourse explaining why their objection is not accurate. And now you’ve done it – you’ve just given someone a free ride. The problem of free rides can be resolved with a simple, yet powerful concept known as the burden of proof rule. The burden of proof is the responsibility one has to defend their belief, opinion, or view. The rule goes like this: The person that makes the claim bears the burden. In other words, if someone offers a critique, it’s their job to defend their view, not your job to defend against it. Too often I see Christians bear the burden of proof when they’re not supposed to. This keeps the Christian in the hot seat as they hopelessly try to respond to every crazy objection and story someone can spin. They neglect holding the other person responsible to defend their view. It’s time to stop giving free rides and begin enforcing the burden of proof rule. “Atheist Antony Flew has said that the “onus of proof must lie upon the theist.” Unless compelling reasons for God’s existence can be given, there is the “presumption of atheism.”… However, the presumption of atheism actually turns out to be presumptuousness. The Christian must remember that the atheist also shares the burden of proof, which I will attempt to demonstrate below. Second, the “presumption of atheism” demonstrates a rigging of the rules of philosophical debate in order to play into the hands of the atheist, who himself makes a truth claim. Alvin Plantinga correctly argues that the atheist does not treat the statements “God exists” and “God does not exist” in the same manner. The atheist assumes that if one has no evidence for God’s existence, then one is obligated to believe that God does not exist — whether or not one has evidence against God’s existence. What the atheist fails to see is that atheism is just as much a claim to know something (“God does not exist”) as theism (“God exists”). Therefore, the atheist’s denial of God’s existence needs just as much substantiation as does the theist’s claim; the atheist must give plausible reasons for rejecting God’s existence. 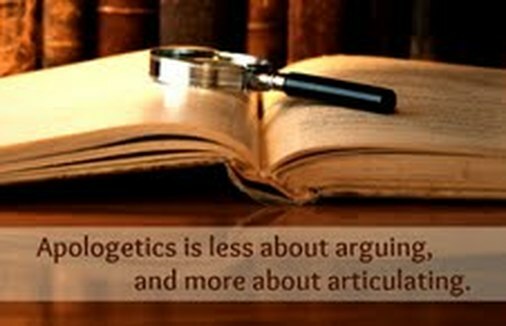 Third, in the absence of evidence for God’s existence, agnosticism, not atheism, is the logical presumption. Even if arguments for God’s existence do not persuade, atheism should not be presumed because atheism is not neutral; pure agnosticism is. Atheism is justified only if there is sufficient evidence against God’s existence. Far too often atheists feel they carry no burden of proof concerning God’s existence and moral evil in the world. However, if they feel that evil and suffering is incompatible with God’s existence, they NECESSARILY must give proof for that. Atheists love putting theists on the defensive concerning questions of God, but this time they can’t do that. Let’s face it, many atheists are just too scared to get cornered with hard questions. They would rather redefine atheism and put the full burden on the theist.